Discussion in 'Console & PC Gaming' started by GTPNewsWire, Jan 20, 2019. This article was published by Michael Leary (@Terronium-12) on January 20th, 2019 in the Gaming category. I thought Rocket League launched with cross-play with PC players? It did, but there were still walls between certain pairings (PS4 and the other consoles). That's done now. I could play with my buddy on PC before (I'm on PS4) but we couldn't form a party to enter matchmaking as a team. Has that been changed now? Is the update out already that does that? 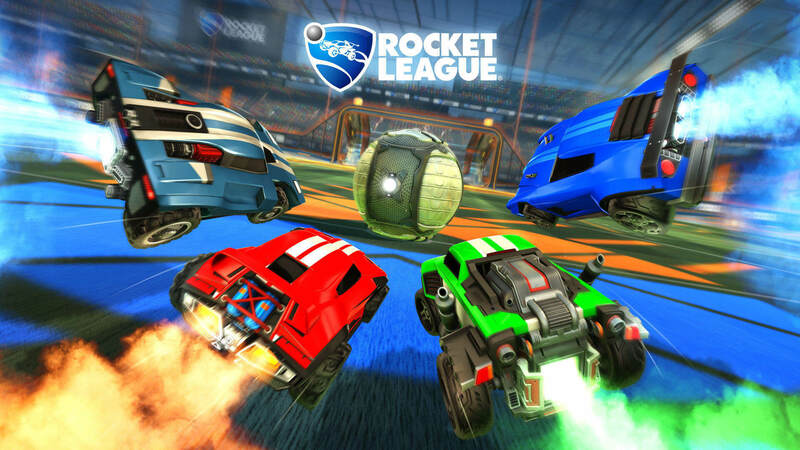 Rocket League just became the second game to enter the PlayStation Cross-Play beta program. But I guess that makes sense if this program is specifically referring to cross-play between Sony, Microsoft and Nintendo platforms. zjackson and SlipZtrEm like this. Ah, yeah, I believe that's what the program means. No, this isn't the cross platform parties update. That's reserved for their first major update this year. This update just allows you to make a private party that can have users from any of the consoles the game is released on. So, if anyone you play with is just on Steam and PS4, nothing much has changed. But on the plus side, they now can play from the XB1 and Switch. Not specific to rocket league as I've never played it, but what of mods creating an advantage for those of us on PC only? Example.. My lap times with PC2 improved by seconds using FFB mods when I moved to PC, same with AC using Car tuner through content manger, I've created 500hp Miatas. The question for me is are they are able to create a level playing field, I guess they could write code like in GTA5 where mods would be disabled in multiplayer but there's always a work around, such as not being able to use script hook online which worked well until it didn't. The mod community on PC is massive, and very intelligent. As much as I'd like to see it I don't think universal cross platform play will ever be fair. The only mods on PC that are still running today are, if I don't miss anything, AlphaConsole and BakkesMod. I don't use them, but I do know what they do. AlphaConsole is a downloadable application that allows the user to replace their in-game Rocket League items with other items, but only the user can see the replaced items, including Alpha Items! For example, if you replace Tunica wheels with Alpha wheels (Goldstone), only you will see the Alpha wheels, while others (in game, or in lobby) will see the Tunica. BakkesMod is a trainer that allows you to set up shots for practice. It was the PC's sole advantage over the consoles until custom training packs were added in the game years ago. If you ask me, the only other thing PC has over consoles is to play at uncapped framerate, access to mod maps through Steam Workshop and maybe input delay (unsure). But definitely I don't think there's a cheat mod. The problem is, I think only the biggest games are gonna get it, and those are the ones that need it the least. You mention pCars 3, that and Assetto Corsa are the types of games that need it the most, but probably won't get it. I hope that changes but I wouldn't hold your breath. It might take several years before cross play becomes standard across all games. Until then, the games that need and benefit the most from it will be left out.